A classic among mountain castles: perched at the peak of an inaccessible hill, and in excellent condition, for its relatively recent restoration. 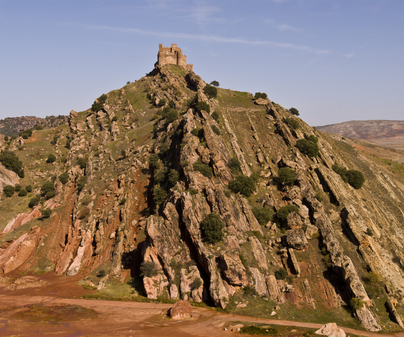 Its strength is notable: the siege had to be carried out closing in on the hill, and not the fortress itself, due to the steepness of its slopes. Considering its characteristics and arrangement, it must have been built between the 12th and 13th centuries. Narrow fortress, adapted to the hill up on which it sits, it is ninety meters long by fourteen meters wide, following the North-South line. Access was defended by two turrets, and it is interesting to note the narrow road that leads to its gate, which made the passage even more difficult for its attackers. The first space is a parade ground of reduced dimensions, after passing through which one enters into a complex of four towers and various rooms, which lead into a new patio, possibly intended for the stables, and topped with a pentagonal tower that defended the North end. In the interior of the castle we see different rooms, chimneys, and diverse elements belonging to the last restoration, such as battlements that crown the top. 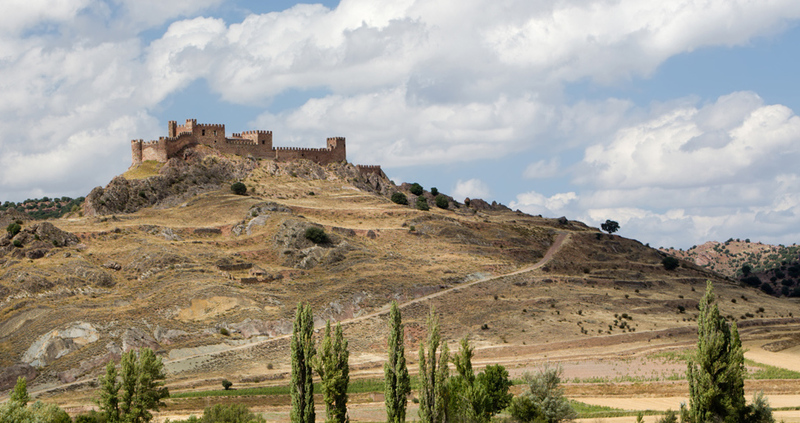 The first mention of this castle was in the time of king Alfonso VI, in the 12th century, when he donated the castle of Santiuste and the villa of la Ripa in its vicinity to the bishop of Sigüenza, D. Bernardo de Agén. In the 15th century it was taken by storm by the Navarrese forces, using it as a base of operations in order to sack Sigüenza and its lands. 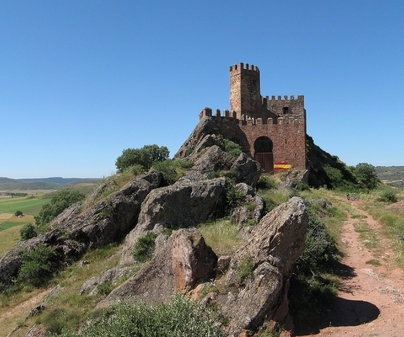 Their bishop Luján entrusted it to dean López de Madrid to restore it, which he achieved after a five month siege. In the 19th century the French troops blew it up during the war of Independence so that would not serve as a refuge for the guerillas. Dean López de Madrid, its conqueror, let the victory go to his head, and ended up naming himself bishop and maintaining himself as Lord of Sigüenza, although he was excommunicated by the Pope. He was finally defeated after the castle was taken by storm.